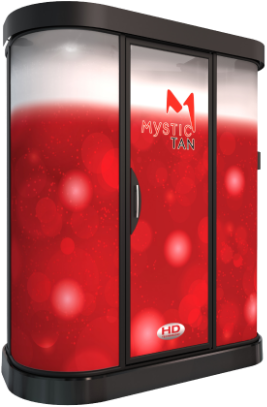 ​This is Sunless Spray Tanning in High-Definition! Revolutionary heated sunless treatment delivering flawless, natural-looking results while keeping you warm & dry from start to finish! High-Tech Spray Tans You’ll Love! They Myxed. They Matched. ​They Created Their Signature Look. 3 heat ports that offer a warm, dry, and inviting spa experience. Customized just for you! 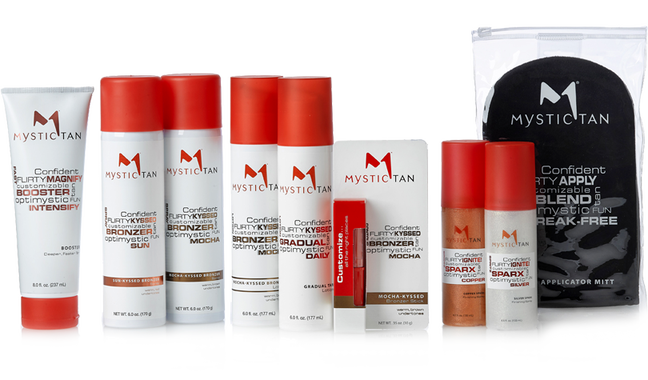 ​Mystic Tan is the first line of products allowing you to create a custom tan and signature look for every style, mood, season,and event. Boosters plus Bronzers in multiple tones, along with unique products like Sparx and Bronzer Stick, give you The Color of Confidence. ​Go beyond tan. 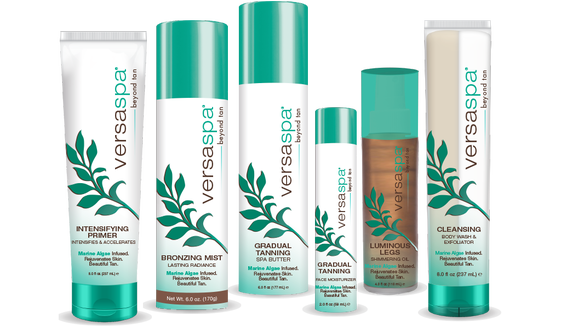 Only VersaSpa’s unique combination of advanced skin care and tanning technology delivers a daily regimen of at-home products infused with green and brown marine algae to moisturize, oxygenate, and detoxify skin for a beautiful tan. It is best to shower, shave, and exfoliate before coming in for a spray tan. It is also best to come in with no makeup and no lotion on. This will create a clean and even base for the spray tan. Bring dark, loose fitted clothing to wear after the spray tan for comfort. We have 3 different solutions to choose from: Light, Medium & Dark. Our expert tanning associates will help you decide the perfect color solution just for you! Additives: We also have bronzers, aromas, and accelerator myxers you can add to your spray tan! 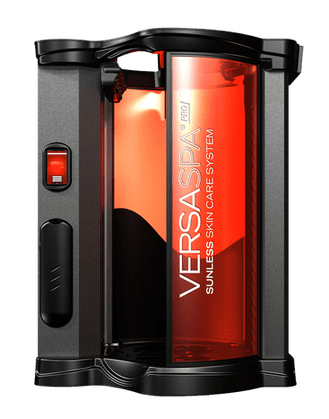 To give the DHA enough time to fully set, wait to rinse off/shower a minimum of 4 hours after a sunless spray tanning session or 8 hours for optimal results. If you tan using an Instant Cosmetic Bronzer, the Instant Cosmetic Color will wash off in the shower, but the color produced by the DHA will remain. It is not recommended to exercise right after a spray tanning session but to wait until you have rinsed off the product.